Well we are finally here. We passed the 20 trillion mark on the national debt clock. We all knew this was coming eventually, but what will it mean going forward? The debate about the debt ceiling is going to be in the news again soon and without a doubt we will surge through that ceiling with no hesitation. The Trump administration suggested that we eliminate the debt ceiling altogether so that we don't have to enter this debate every couple of years. Where will that leave us? 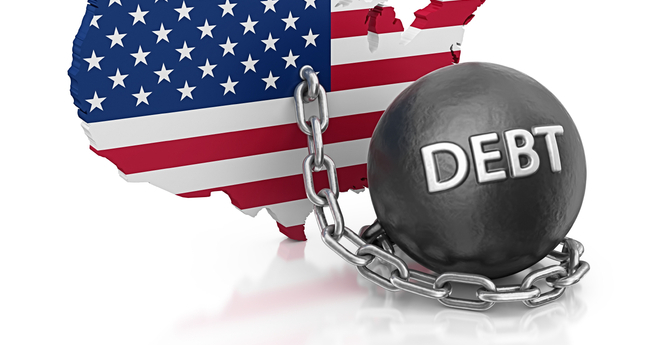 It has long been suspected that Washington needs to keep the borrowing party going to encourage growth, but eliminating the debt ceiling altogether is admitting that we have no intention of ever following any limit moving forward. While in function this may not change the way we have been operating, it would be an admission that our spending has no intention of ever slowing down. A decision like this would change the expectation of an unpayable debt into reality. While there may not be an immediate impact to precious metals market with this decision (major markets have been expecting the ceiling limit increase) it will definitely have implications over the long term. With a no holds barred spending approach being officially recognized, the dollar will only continue to decline over time. We are already at a 15 month-low in the dollar index and the dollar has lost over 96% of its purchasing power over the last 100 years. With a decision like this looming, precious metals can be part of the answer to how to protect yourself long term.